organisation in 2016. 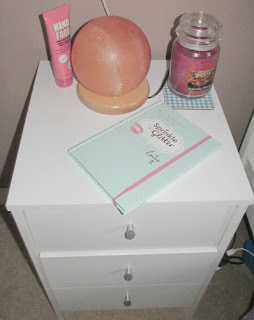 If you read my post on my new years goals you will know being more organised was on that list. I also did a post called back to normality where I organised a few things to get us a little more organised after Christmas. I have now got a copy of The life changing magic of tidying up and am excited to start tidying and being more organised. I want to finish the book first before I start going on a major tidying session but I want to share with you today my ideas on what I would like to do decor and storage wise with our home as well. bathroom unit as I need to find space to fit all our cleaning bits out reach from Blake. it will make more space in there. I also want to get a new bath mat as our white one is getting a bit tatty now so would love to get a pale blue one which will go well with the theme of the bathroom. We really need to be more organised and tidy with our wardrobe and chest of drawers. I plan on getting rid of some of my clothing as I have loads of bits which either don't fit or I've not worn for awhile or even just look a bit tatty now. Clothing is one of the sections on the KonMari method that I am looking forward to organizing. I also want to sort out under bed storage as we have some boxes under there which I want to have a sort out of. One of the things I really want to do is have an extra photo hook up in our room to make our home feel more personal to use with special photos. Blake's room is probably one of the most organised rooms in our flat. I have managed to find places to put all of his toys so far and know pretty much where everything is. I want to put up two more photo hooks as Blake has two canvas's that I want up on his wall which is currently stored in his wardrobe so that they are out of the way. I feel that our living room has plenty of stuff to organise and make more personal. I'll start with decor bits I really want us to have another photo frame above the sofa. I also am thinking of getting a few more decorative bits to go near our fire place which you can't see. As for organisation I want to organise the plastic drawers you can just about see. the plastic drawers to put CDs in. I also need to have a sort out of our book shelf which you can't see in this photo as we have far to many books. I need to be strict and get rid of some. 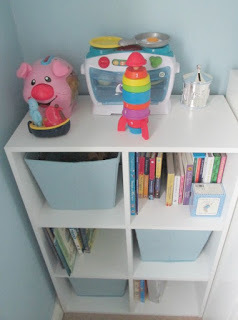 The other two things is a wicker hamper which is next to the sofa that has miscellaneous stuff in and I want to use it as more storage for toys. The other things is our table and chairs which again you can't see. I find that things just get dumped there and then just gets stuffed in plastic drawers. I'm going to be honest I hate our kitchen it's so small and we just have so many kitchen bits that we have no room for such as our steamer, breadmaker, grill etc. I want to keep stuff but literally have no room for it in the kitchen and we only have a small storage cupboard where we keep bits such as Christmas bits and our hoover and steamer. Our kitchen overall is the messiest room in our flat. I'm really hoping the KonMari Method works for us. do the one in out thing. We will have to see. Do you have any plans for Decor and organisation? Yes definitely I think it's the whole new year thing. I need to be more organised anyway as our flat is really small so having clutter isn't good. I wish I did the one thing in one thing out appraoch, we moved house this Summer and threw so much out, but we seem to have brought so much crap with us too. We moved in 2014 from a one bed to a two bed flat and we were the same with bringing so much crap with us. I'd like to test out the kon mari method. We have a lot of sorting and decluttering to do. your little areas you show look lovely. I also plan on getting rid of some of my clothing in this new year. I have so many of them that either don't fit or that I've been meaning to give away. For whatever reason, no matter how organized the rest of my apartment is, I can never get my bedroom down. I can't wait to see what you come up with! I'm trying to loose weight so I'll have to go through my clothes again later in the year once I get to my target. I love your bathroom, it's lovely and light! Ours has no windows so it's quite dark! Thanks for the book recommendation, I could do with some help :) I've been doing my best to declutter and organise over the last while but the accumulated stuff of more than 10 years has been a bit daunting - I'm getting there though! Our whole house needs decorating and properly as it's totally unfinished - it was basically just painted before I moved in and we've still only got curtains in a few rooms. I love the konmari method. I've done clothes and books, I just need to do everything else - kitchen cupboards are going to be hard to let go of things, but necessary, and toys again need clearing out after Christmas and with a birthday coming up. Plus all N's handmedown clothes need going to my godson. They clutter up the place. I want a cabin bed for N so that'll clear out his floor by having more storage, but the OH isn't keen. He's got a horrible ancient flowery divan at the moment which isn't appropriate and he wants a proper decorated room. Can't beat a bit of declutter! I love an organised space. Can't function otherwise! Yes! This! I started the Konmari method last week and it is ingenious! My closet is the tidiest its ever been and I can finally walk in it without standing on things, hurrah!